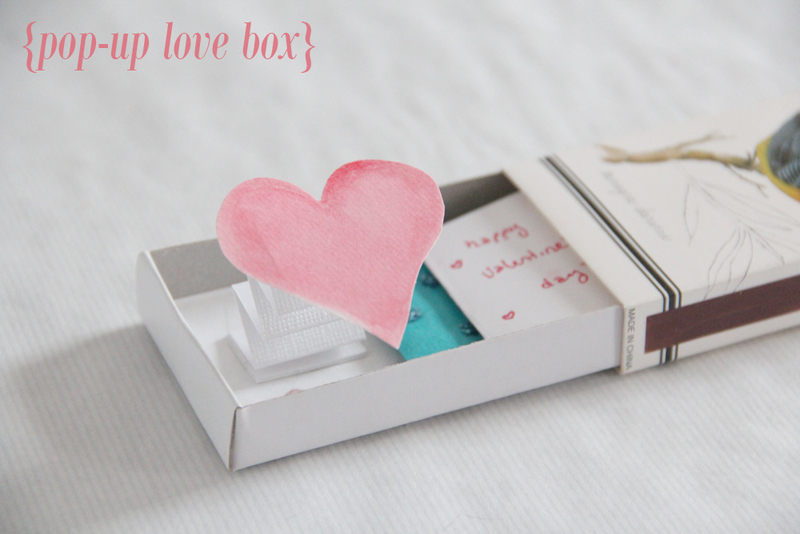 I created this little pop-up heart-in-a-box yesterday afternoon right before I was supposed to go see A. I promise if I had whipped it up earlier I would've shared it here for those strapped for a quick Valentine's Day gift, but it's so simple and sweet that it would serve just as well on any other day of the year. 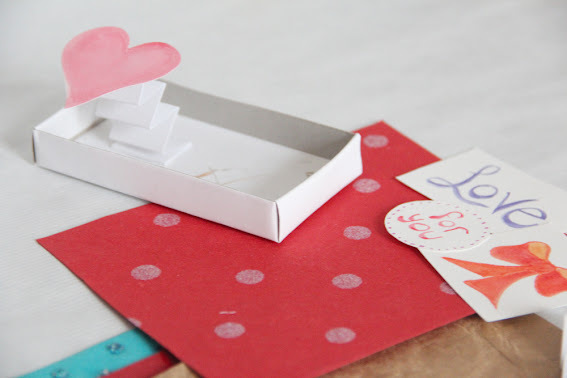 - a long strip of cardstock for the "spring"
To line the inside of the box, take the bottom or inside portion and trace around a scrap of paper to get a good size. You might need to do some trimming, but once you have the right size, cut and paste it into the bottom of the box. 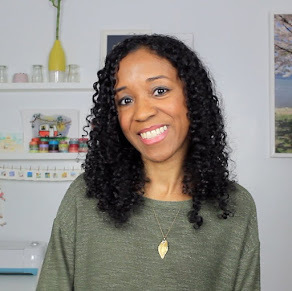 To create the spring piece that will cause your design to pop out of the box, take your strip of cardstock (mine was initially 1"x 10") and fold it back and forth accordion style. 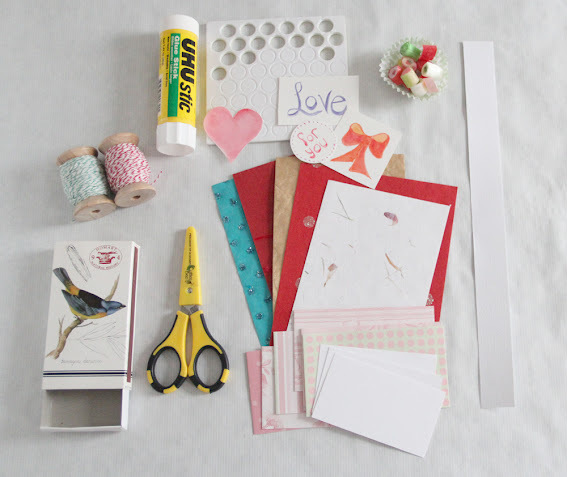 Glue your heart or design to one end and using trial and error, figure out how long your spring needs to be to make the heart bounce up and stay up when the box is opened. Mine was much too long and had the heart popping up and onto the table so I cut it down to 7.5". Yours will depend on the height of your box. It also helps if you glue a couple of the accordion flaps on the bottom end together to give the spring a sturdier foundation. Once you have the size and positioning down, glue that end of the spring onto the bottom of the box. 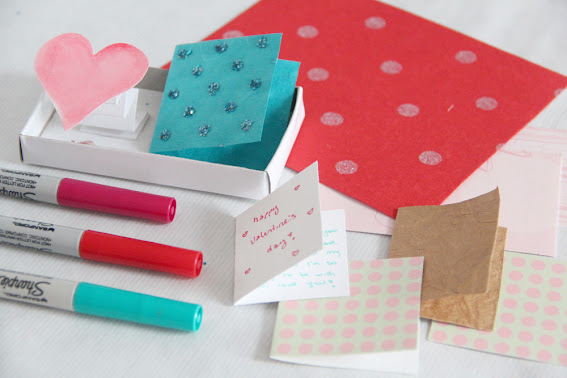 Create little cards and booklets using folded scraps of paper. Don't forget to add a little note or doodle. 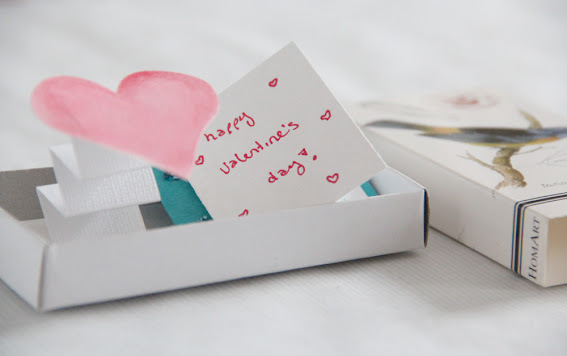 Make sure the tiny card fits into the space left in the box without obstructing the bouncing heart. If you have enough space, you can add little trinkets and candy to go with your little note. 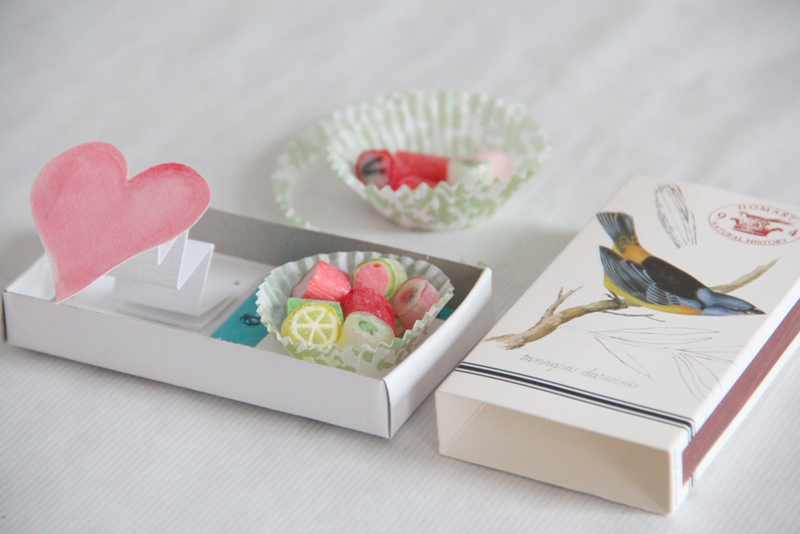 I trimmed down a mini cupcake liner and filled it with hard candy! If your box is bigger, then how about adding a smaller box within? 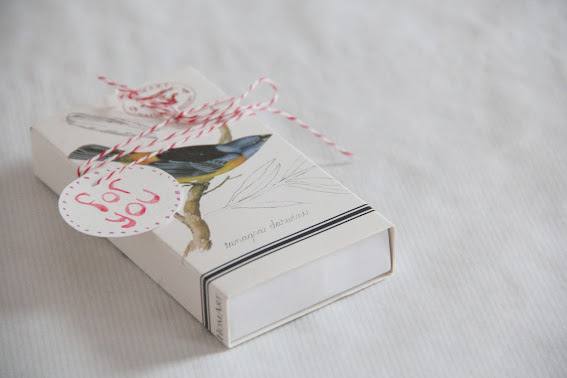 Gently pack it all up, tuck in the heart, and then wrap a bit of twine around the gift. Add a tag and you're good to go! This is sure to bring a smile and childish delight to any recipient, don't you think? Make sure you take pictures if you do. Let me know if you need any guidance. We could totally have a craft night...if you're even interested that is. Best part: no water is involved, clumsy. What a darling little project!